I received a copy of this book from the publisher in exchange for a review. Opinions are my own. Please note, this post contains affiliate links where I receive a small percent of purchase price when you click through my link. Thank you for starting your shopping here. Since June, I have been in wedding planning mode. There's so much to get ready. I've looked at several wedding planners, and even purchased one, but I had been lamenting the one thing I wish I had: a guidebook to help make sure that the wedding is a Christian one. So many times we go to weddings, and no matter how much money spent or time planning, after a few years they seem blur into another wedding in our memory. Fourteen years ago, I went to a wedding that was the most Christian wedding I'd ever been to. I'd been hoping I could find a copy of my friends' wedding tape because I still couldn't remember what all was done except that it was a beautiful faith based wedding. We are having a budget wedding. (Under $5,000, hopefully less.) There have been a few things I haven't wanted to skimp on that aren't traditional in this area. (But then again, I remember the days where wedding receptions were punch and mints in the dank church basement after the ceremony and entertainment was watching the bride and groom open wedding gifts.) This book helped me realize that if there is something that I would like to do, it's not really a waste of money if we are showing love and appreciation to our guests. This makes me feel so much better because I do want to stretch every wedding dollar we have. The pastor of our church said the only time he would say no to a wedding is if we wanted to do it on Sunday morning and then he grinned and said, "Well, under certain circumstances I'd allow it". My goal for my wedding is for people to realize they have been in a worship service, just one packaged a little differently on a Saturday afternoon. This book will help us have the wedding we want. 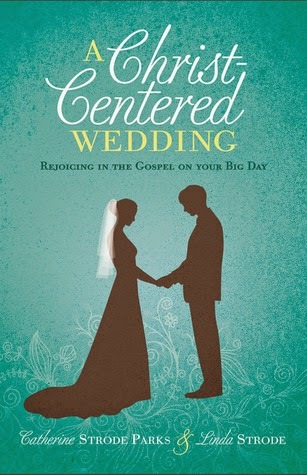 I highly recommend this book for anyone who is wanting to have a true Christ honoring wedding, and I've been telling friends about it -- both married and single. I'm so glad a book like this has been written to fill what I was beginning to think was a gap in all the bridal books! 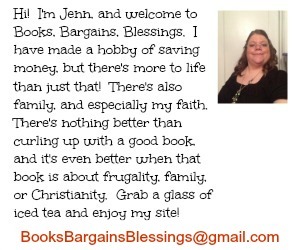 You can purchase this book from Family Christian. This book sounds really interesting; congrats to you on your wedding! Although my wedding was almost 20 yrs ago, I can relate to much of what you said. Ours was "budget" too, and no dancing! I've already had a friend whose daughter is getting married read this book. Another girl in my church who is getting married this year wants to read this. It's a fantastic resource. As for my wedding planning? Three months to go and under $2,000 spent. Pretty much just need the food at this point! Be watching for a lot more wedding posts. I'm wanting to show how to have a memorable wedding on a budget. I believe in this book it mentioned that money could be an idol as in how much you spend or don't spent. I don't want that to happen. I want to do this frugally because among other things, I want as many people to be there to celebrate with us that day as possible. If that means pepperoni rolls and Walmart chicken and deli sides for the meal, then so what? We're with people we love and who love us! This book sounds amazing! I was looking for similar things almost 9 years ago. I had some dancing though. No liquor--not even for my toast. I used sparkling grape juice. My wedding was very budget, under $2,000 spent and I still remember the songs sang at my wedding This is the Day (a weeding song) and A whole New World from Aladdin. Congrats on your wedding/marriage! There may end up being some dancing, it won't be specifically encouraged, however. I just looked up that song. So pretty. Other than How Beautiful we haven't decided on anything. The friend who is singing How Beautiful suggested that he flip a couple verses around and me walk in to that song where it begins How Beautiful the radiant bride. . . . :) I loved that idea. What a great book!! Everyone needs to remember that God is to be the center of everything...before, during and after marriage. My wedding was less than $3000, and it was so nice knowing that we (or my parents) did not end up with any debt because of the expense.